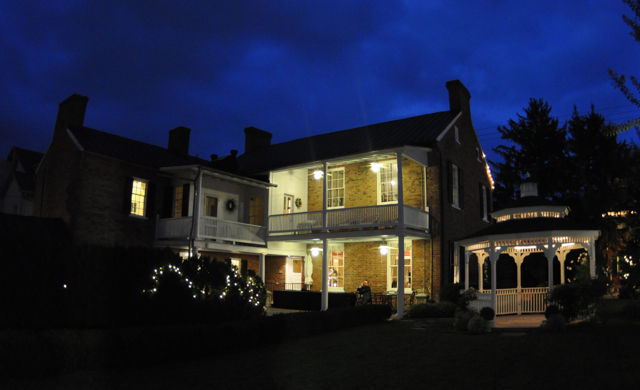 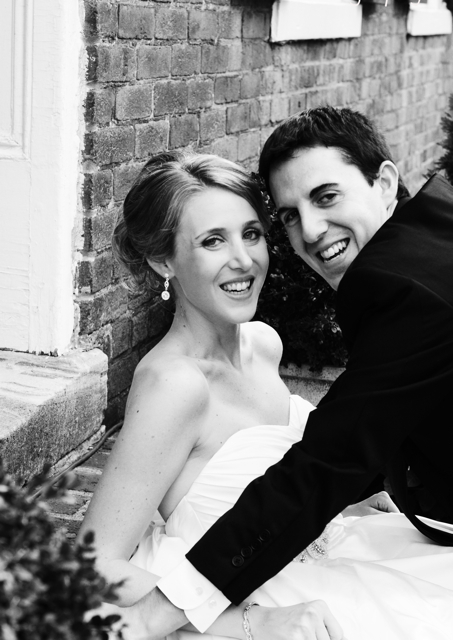 Megan and John married just a few weeks ago at one of my favorite wedding venues, The Thomas Birkby House. 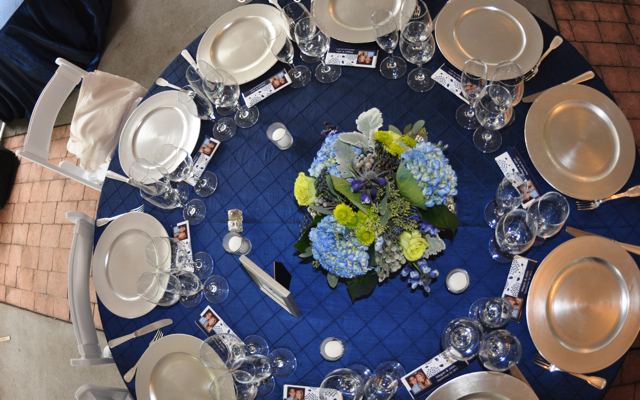 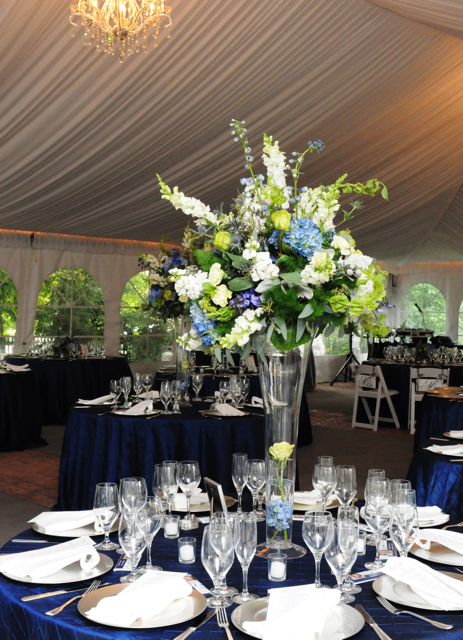 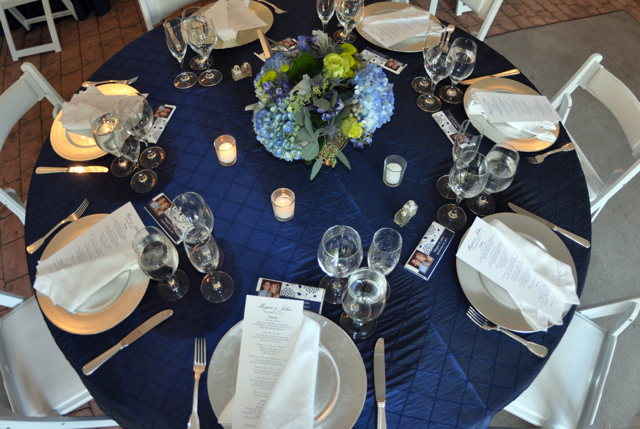 This wedding featured bright royal blue tones, with pops of green. 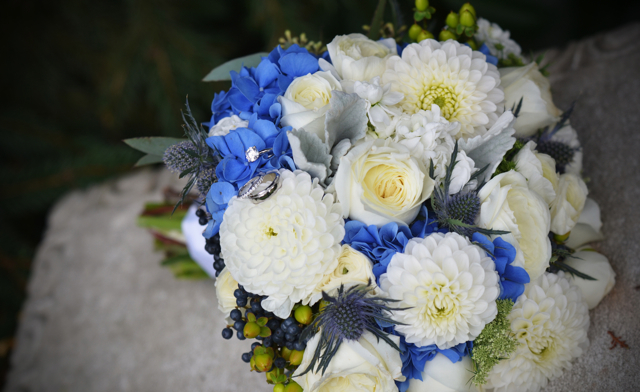 Megan’s bridal bouquet also featured white dahlias and white cabbage roses. 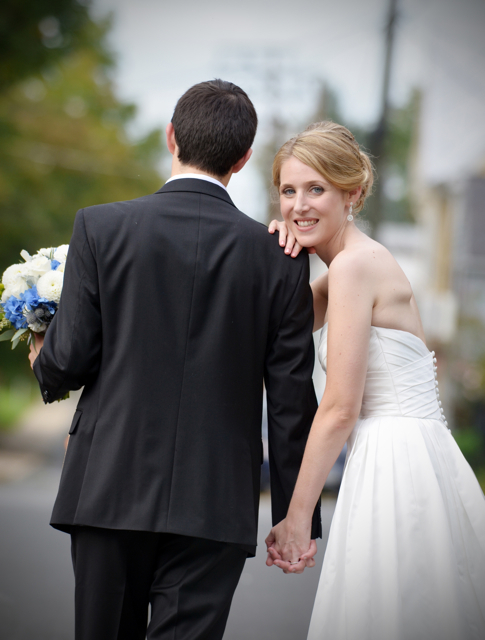 This bride was absolutely lovely to work with, I had so much fun meeting with her and her mother. 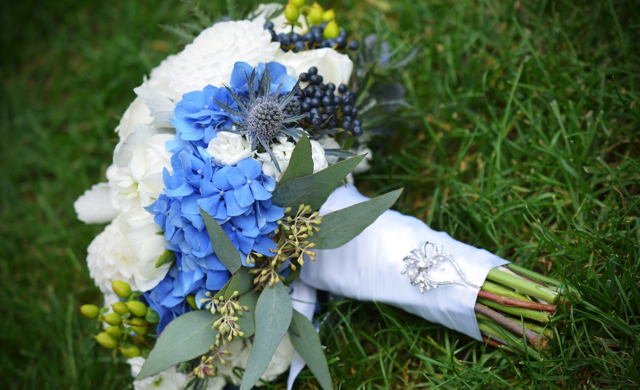 In addition to the dahlias, and roses, this bouquet had blue berry, blue thistle, dusty miller, dark blue hydrangea, green hypericum berry, and green button mums. 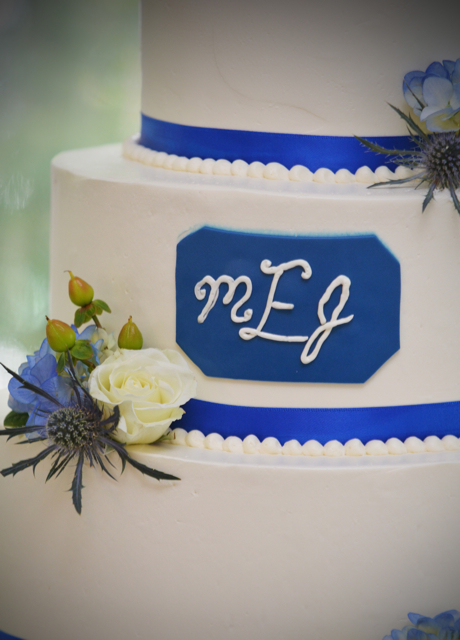 This color combination is so beautiful and it was very popular this year. 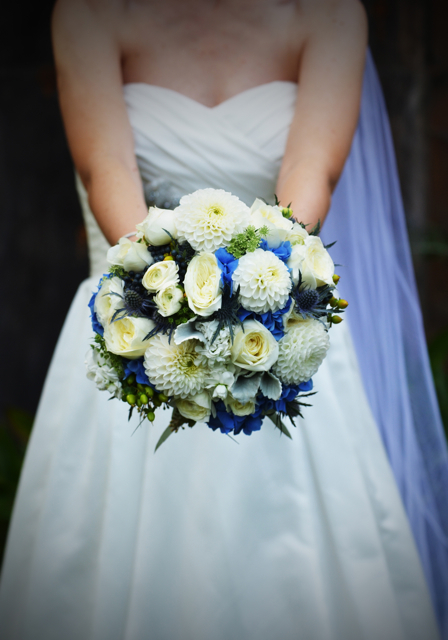 Thanks to Saskia Photography for sharing these lovely images. 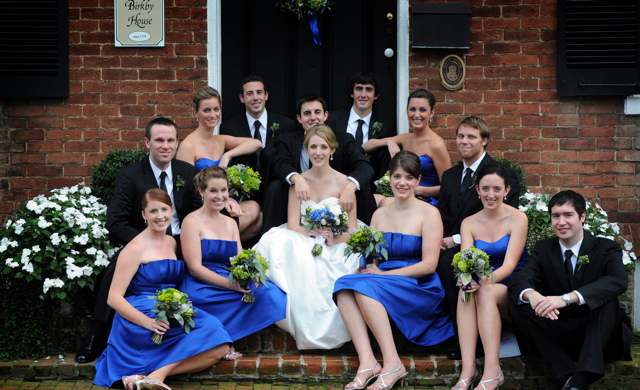 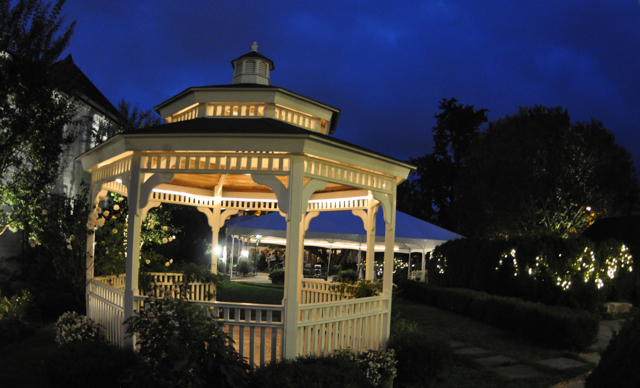 Saskia is another Loudoun based wedding professional. 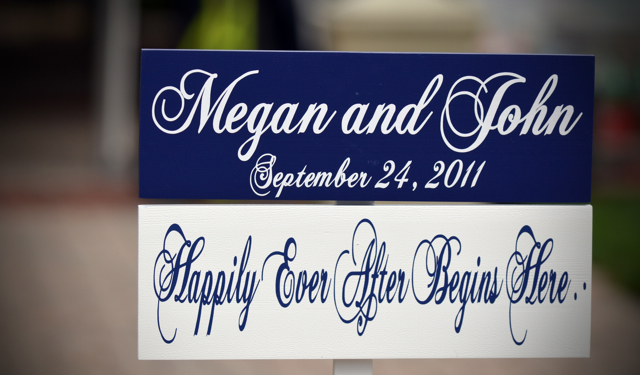 Happy married life Megan and John, it was such a pleasure to create your wedding flowers.